Five Wigan men, including a serving police officer, are among nine charged over alleged cannabis production. Daniel Aimson, 35, Ullswater Road, Astley, is accused of misconduct in public office. 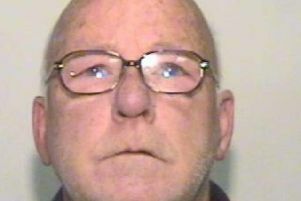 And he, along with Richard Grady, 30, of Park Road, Hindley; Steven Hindley, 26 of Maesgwyn, Rhyl, North Wales; Michael Hutton, 52, of Crossley Court, Ancoats; Christopher King, 48, of Bowling Green Court, Longwood, Huddersfield; Hussain Mozahem, 24, of Findlay Street, Leigh; George Parkinson, 29, of Ullswater Street, Leigh; Jonathan Vaiders, 27, of Jaffrey Street, Leigh; and John Wallace, 46, of Stansbury Walk, Manchester, are all charged with conspiracy to produce cannabis. Hutton is also charged with possession of amphetamine with intent to supply and Vaiders faces a charge of possessing cocaine with intent to supply. All nine are due to appear before Manchester City Magistrates’ Court on October 20. A 26-year-old woman from Astley earlier arrested on suspicion of money laundering and conspiracy to produce cannabis remains on police bail until December. The charges relate to an ongoing investigation by Greater Manchester Police’s Anti-Corruption Unit into the large-scale production of cannabis.